The advisor to the Prime Minister Volodymyr Groysman, a Slovak reformer Ivan Miklos says that Ukraine should conduct a pension reform, which among other things must envisage a raise in the retirement age. "Three years ago, the aggregated cost of pensions in Ukraine amounted to 16% of [the country's] GDP. It is the two times more than in other similar countries. 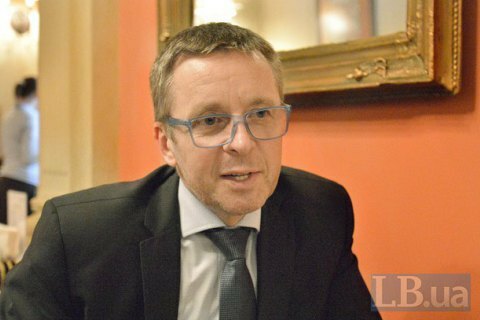 In other countries, these costs make up 8-10%," Miklos said in an interview to LB.ua. "The first thing that must be done is the abolition of numerous privileges to different groups of people. The second step that must be done is the reform of the first component of the pension system (pay-as-you-go part - Ed.) in connection with devaluation, inflation, and retirement age The retirement age should be changed. It is unpopular but necessary policy, without which the system is too unstable." Miklos reminded that pension reform is a part of IMF requirements. "What we did in Slovakia (I recommend you do that as well): do not make decisions about new terms of retirement every year, because this is a very sensitive policy. When I was the finance minister, we decided to set a formula for the retirement age. This formula assumes that the time-to-retirement is postponed by six months every year," he said. In Slovakia, the retirement age will be raised to 65 years. Earlier, Deputy Prime Minister Pavlo Rozenko said the government had no plans to raise the retirement age. In 2011, under President Viktor Yanukovych the retirement age for women was raised from 55 to 60 years. Savchenko expected to return to Ukraine "within hours"